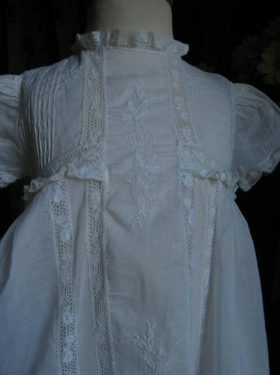 All these Victorian christening gowns display a lovely, delicate beauty and are wonderful, authentic examples of the fine craftsmanship of the Victorian and Edwardian period. 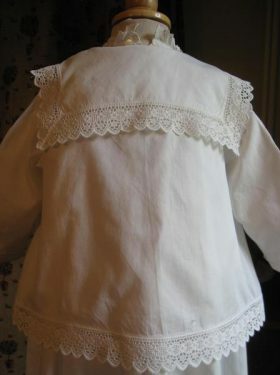 Many are heavily adorned with lace or the most exquisite hand embroidery. 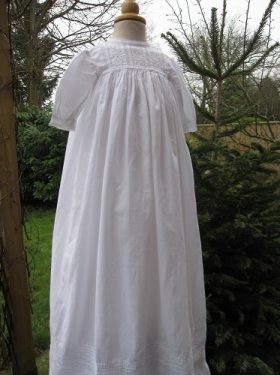 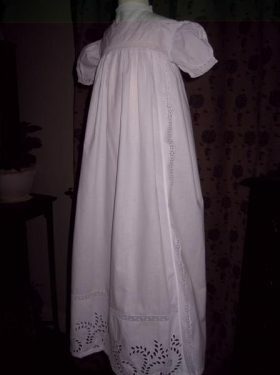 No two christening robes were ever produced the same, so you can be reassured that you will be purchasing your own unique antique christening outfit. 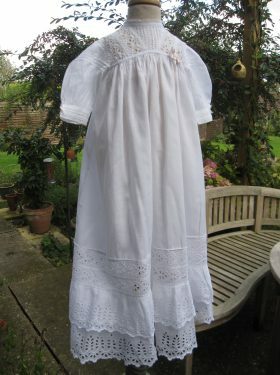 I just wanted to let you know that I received the christening robe yesterday. 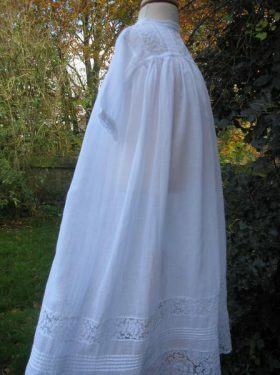 It is even more beautiful in person! 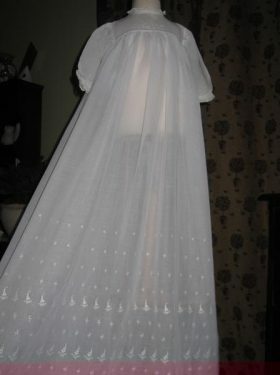 I am so thrilled to have it, and I think it’s going to be just perfect in every way. 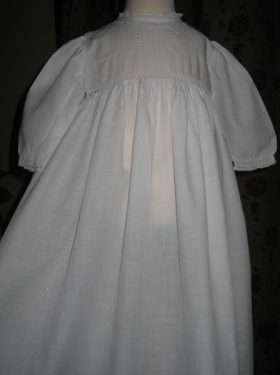 I’ll follow up with some pictures for you after the Baptism. 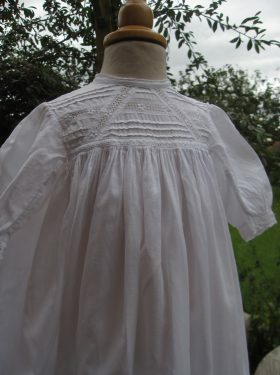 Some have been carefully restored – all are ready to wear. 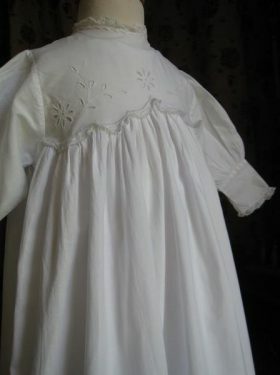 Choose one of these heirloom christening robes for your baby’s baptism day in the knowledge that it has been stitched with love and intricate care. 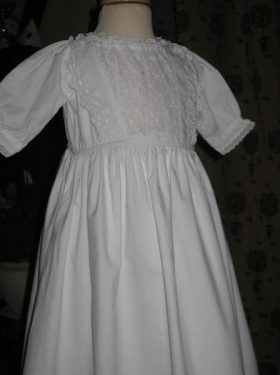 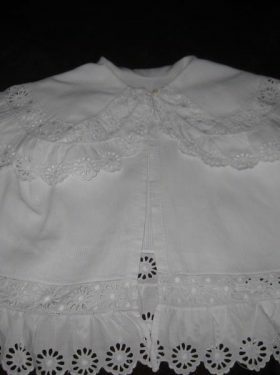 Do you have your own antique Victorian christening gown in need of restoration? 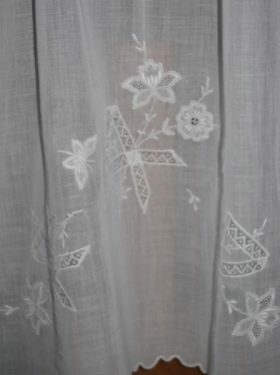 A full renovation service is available, please click here for more information. 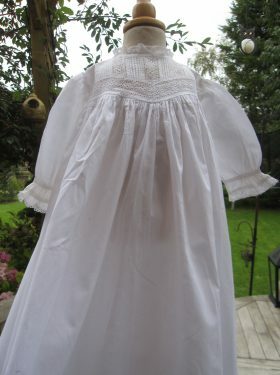 Little Doves also offers a reproduction service. 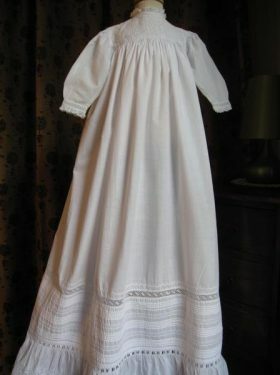 So if you want a new christening gown but with the feel and beauty of a traditional gown this option will be ideal for you. 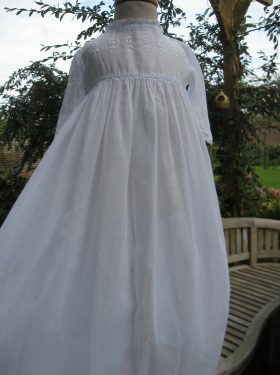 Simply select from the gowns shown below, the one you would like reproducing and Little Doves will create it to the size you require. 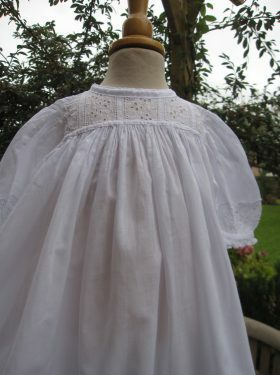 If you require this service please contact Linda to discuss further. 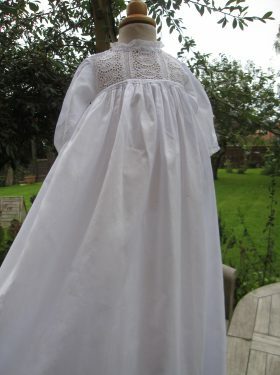 Alternatively, if you have a style or an idea that you would like making into a gown please look at the bespoke page to see how Little Doves can help.